When did food lose its priority in our busy lifestyles? As the processed food industry has grown, so have food-related illnesses like obesity and diabetes that now face our next generation in alarming numbers. That’s not ok. Sylvie Rochette founded Epicure in 1997 with a desire to take charge of the food she fed her own family and share her clean eating solutions with everyone. Today, Sylvie and her daughter, CEO Amelia Warren, are helping time-starved families reconnect across the table and share good food experiences. At Epicure, we’re not radical fanatics; we’re passionate realists who challenge the food industry and rally around clean eating. Epicure is dedicated to providing delicious meal solutions that use only real, whole ingredients you can trust, while never, ever compromising on taste. Our products are: •	over 70% Non-GMO Project Verified—and growing •	triple tested to ensure they are 100% gluten free •	sugar and sodium conscious •	blended in a nut-free facility •	Kosher Check certified (where applicable) •	produced with globally-sourced, non-irradiated ingredients •	free of artificial colours and artificial sweeteners •	made without corn syrup, food dyes, or hydrogenated fat† We’re here to educate and inspire with a three-course solution—for ourselves, our children, and our planet. With Epicure, we can all rewrite our relationship with food and eat clean. Change your plate and change the world. 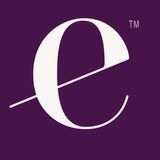 Enhanced Nutrition Has Arrived Enhanced Nutrition is Epicure's first-to-market, innovative line of nutrient-dense whole food blends that support optimal health. Add extra benefits to every meal without extra effort. Healthy eating never tasted so good! Look for this logo throughout the Catalogue and on all Enhanced Nutrition product packages. • Eat 20–30 g at every meal for optimal protein distribution. Boost your intake with Sweet Coconut Optimum Vegan Protein Blend (p. 6). One serving = 20 g protein. • May help prevent heart disease and stroke. Find them in Cocoa Crunch and Everything Bagel Whole Food Sprinkle (p. 8), plus Coat & Cook Mix (p. 10). • Helps lower cholesterol and control blood sugar. • Promotes regularity. • Adults need 25–28 g per day. • FYI: We use chia seeds and psyllium husks. Get more fibre with Coat & Cook Mix (p. 10). Each Whole Food Sprinkle (p. 8) also provides 2 g of fibre per serving. Find 1 billion live Bacillus coagulans GBI-30 6086 cultures in one serving of Sweet Coconut Optimum Vegan Protein Blend (p. 6). FYI: It’s heat stable. Bake with it too. • Helps build lean muscle. • Helps you feel fuller longer. • Source of essential fats you can only get from the food you eat. • May be important in brain development and function. • AKA “friendly bacteria.” • Promote a healthy digestive and immune system. 5. ANTIOXIDANTS • Natural powerhouses found in veggies, fruit, and whole spices. • Protect cells from damage. • Help maintain good health. Turmeric in Turmeric & Ginger Blend Enhanced Herbal Tea (p. 12) and Tutti Fruity Whole Food Sprinkle (p. 9) provides antioxidants. EPICURE IS: Epicure is part of the Non-GMO Project. All Epicure products are gluten free. Epicure is a nut-free facility. Protein Evolution Power up with 20 grams of delicious, plant-based protein per serving. Our Sweet Coconut Optimum Vegan Protein Blend is enhanced with heat-stable probiotics, potassium, and digestive enzymes so you can get more out of every scoop. 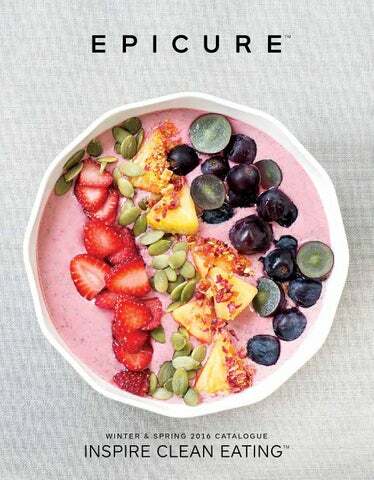 NUTRIENT BOOST Top off smoothies with a source of fibre by shaking on a Whole Food Sprinkle (p. 8). Superfood Whole Food Sprinkles do more than brighten your plate— they’re superfoods. Each is a source of fibre, providing 2 grams per serving, and helps bump up your antioxidants or omega-3s. Add to cereal, oatmeal, baking, waffles, pancakes, or smoothies. Finish sandwiches, soups, pasta, and eggs. These jars come with shaker tops. FLAVOUR BOOST Toss in salad dressing before coating for extra flavour. 1. T  oss protein and veggies with your favourite Epicure dressing (p. 30) or oil. 2. Shake protein and veggies in a plastic bag. Find relief, soothe your body, and restore balance with each sip. TURMERIC & GINGER Soothe your cares away with sips of warming ginger and refreshing lemon verbena for instant comfort. SENNA & CHAI SPICES Aromatic chai flavours bring cozy warmth and relief with each sip. Inspire Good Raise money for your team or community with a special collection of our bestselling products. Choose the Epicure Extraordinary Cheese Dip Fundraiser for your next fundraiser. Made with clean ingredients that are gluten free, and sugar and sodium conscious, the three included blends are the building blocks for versatile, family-friendly meals everyone can enjoy. Your organization keeps $5 for every collection sold—it’s that simple! Ready to make your next fundraiser a delicious success? Contact your Epicure Consultant today. Food for Good For every 3-pack of Italiano Coat & Cook Mix sold, $1 goes to the Epicure Foundation. The Epicure Foundation Grant Program makes financial and in-kind donations each year to grassroots organizations working to enhance the lives of those in need. Help put healthy food on every table by donating today at epicure.com. These go-to solutions save time and get healthy meals on the table in 20 minutes or less. Each collection comes with three versatile blends plus a free recipe booklet and lunch bag. Pair with timesaving prep tools and cookware to streamline cooking. Blend Souvlaki Seasoning with olive oil & lemon juice for an easy marinade. READY SET COOK COLLECTION Four top tools to make cooking easier. GOOD OM ELETS. REAL FAS T.
GOO D A S I A N . REA L FA S T.
All come with a recipe booklet and lunch bag. GOOD I TA LI A N. R EA L FA S T.
GOOD MEXI CAN . REAL FAST. Top Three These are more than our top-selling dips. This trio of versatile blends makes any meal taste better, from breakfast to dinner. Find great recipe ideas at epicure.com and make your new family favourites. Replace meat with beans, lentils, or ground soy. Put down the knife—we’ve done the chopping for you. Bold flavour is now just a scoop away. Each jar contains the real deal—it's simply dehydrated for flavour on demand. Never compromise on taste or quality. Our bouillons are lower in sodium than store-bought,† made with natural flavours, and contain no hydrogenated oils or added MSG. Make up to 29 cups (7.3 L) bouillon and 7 cups (1.8 L) gravy. †When compared to leading store brands, June 2015. SRIRACHA AIOLI Mix it up with aioli instead of ketchup for dunking. DIY OVEN FRY COLLECTION The tools for precision cutting and baking crispy fries. DIY Condiments Make as much or as little as you need. With no preservatives or additives, these sassy numbers are easy to make and elevate every dish. Multipurpose finishing sauce is ready in five minutes in three easy steps. Then, stir into pasta, egg dishes, or soups. Drizzle over olives or cheese and charcuterie plates. Spoon over roasted meats, fish and seafood, or veggies. Add bright, bold flavour to any dish. 5-MINUTE SAUCE 1. B  lend Âź C (60 ml) water with 2 Tbsp (30 ml) finishing sauce mix. 2. Let stand 5 minutes. 3. Whisk in 2 Tbsp (30 ml) olive oil. Rehydrating the blend in water and oil wakes up flavour, truly making it a bright, bold sauce. Make extra rice or pasta. Stir any finishing sauce in with mixed veggies for a fast, fresh, flavourful side! Speedy Pasta Sauce Fill your bowl with fresh veggie noodles or delicious classic pasta, then finish the dish with a beautiful sauce, ready to eat in 20 minutes. Make up to 29 cups (7.3 L) of prepared homemade sauce from one jar. THE NEW NOODLE Use the Veggie Twist & Spiral Slicer to turn your veggies into wide ribbons or skinny gluten-free noodles. 1. Turn the zucchini into spirals by twisting into the Veggie Twist & Spiral Slicer. Set aside. 2. Bring marinara sauce to a boil in a Frying Pan. Add shrimp and cook, stirring occasionally, for 5 minutes or until the shrimp has turned pink. 3. Toss with zucchini spirals until well mixed, and the zucchini starts to soften. 4. Serve with a sprinkle of Parmesan and a drizzle of finishing sauce. Per serving: Calories 230, Fat 2.5 g (Saturated 0.5 g, Trans 0 g), Cholesterol 255 mg, Sodium 430 mg, Carbohydrate 18 g (Fibre 5 g, Sugars 3 g), Protein 35 g.
Finish your greens with something clean: delicious sodium and sugar conscious dressings made without fillers or hydrogenated oils. Customize it—go vinaigrette or creamy. Dress salads and roasted veggies or use as a marinade. READY SET PREP COLLECTION The tools to prep, shake, and store dressing and salad fixings. Make and store dressing in the Cruet. Refrigerate up to one week. Host a Cooking Class A Cooking Class is a fun way to connect with your friends and experience delicious clean eating solutions. Learn easy new recipes and timesaving tips to refresh your mealtimes, and enjoy exclusive free and half-price shopping as a thank-you for hosting. $20 Future Booking Bonus Certificate Book your Cooking Class while at a Cooking Class, and receive a $20 certificate to redeem when you host your Cooking Class. When guests book their own Cooking Class at your Cooking Class, you can choose one extra half-price item. DID YOU KNOW? 77% of our sodium intake comes from processed and restaurant foods. To know what’s in your food, you have to cook. The World Health Organization recommends 1,500–2,300 mg of sodium or less per day. finishing sauce (p. 25) on top of any dip. More Than Dip Go ahead and double dip. Use these flavourful blends to make the world’s best dips, and use as your delicious go-tos for cooking. So versatile! NEW Our new Cheese & Jalapeño Dip Mix is made with real Parmesan cheese! DID YOU KNOW? Madras Curry contains trendy turmeric, which has anti-inflammatory properties. Put a new twist on the daily grind with these artisanal blends. Just because they’re tabletop basics doesn’t mean your salt and pepper need to be boring. Keeps humidity out to prevent clumping, ensuring the long life of your salts and peppers, twist after twist. SEA SALT OR PEPPER From sweet to spicy, pick your flavour. Made from durable, rust-proof ceramic for the best result. Manually adjusts from fine to coarse grind. DID YOU KNOW? Grinder heads fit all round Epicure jars. For your health, use salt sparingly. POP A BIG BATCH in the microwave without needing any oil. QUICK BITES DIY CHIPS COLLECTION Tools to make skinny, crispy chips. After years of research and development, we've captured the true essence of real dill in the Creamy Dill Popcorn Seasoning: no added MSG or hydrogenated soybean oil—just tangy dillicious flavour. Tip: spritz popcorn with a little water, then shake on the flavour! Just Desserts Get more from your desserts. Who says that something sweet can’t also be good for you? Make treats the whole family will love using clean ingredients paired with timesaving tools to streamline baking. With sweet dips, it’s easy to fall in love with a healthy breakfast, improve any dessert, and even kick sugary store-bought yogurt to the curb. BE MY HEALTHY VALENTINE SMOOTHIE BOWL PREP TIME: 5 minutes MAKES: 1 serving COST PER SERVING: $9.30 ¼ C (60 ml) 2% plain Greek yogurt 1 C (250 ml) frozen raspberries 1 C (250 ml) spinach or kale ½ C (125 ml) 2% milk 1 scoop (35 g) Sweet Coconut Optimum Vegan Protein Blend 1 tsp (5 ml) Summer Berry Sweet Dip Mix ¼ tsp (1.25 ml) Apple Pie Spice or Chai Spice, optional 1 C (250 ml) red fruit (try strawberries, raspberries, and/or red apples), for garnish 2 Tbsp (30 ml) Tutti Fruity Whole Food Sprinkle, for garnish 1 Tbsp (15 ml) seeds or nuts, optional, for garnish 1. In a blender, combine first seven ingredients. If you like it thicker, add ice cubes; for a thinner consistency, add water. Blend until smooth. 2. Transfer to a bowl. Top attractively with fruit, whole food sprinkle, and seeds, if desired. Per serving: Calories 390, Fat 7 g (Saturated 3.5 g, Trans 0 g), Cholesterol 15 mg, Sodium 190 mg, Carbohydrate 54 g (Fibre 13 g, Sugars 29 g), Protein 33 g.
NUTRIENT BOOST Top with Whole Food Sprinkles (p.8) for added benefits. †Based on leading store brands, June 2015. The Perfect Cup This is the top shelf of tea, the best of the best. Each unique flavour is the product of over 15 years of blending expertise, matching specially sourced leaves, botanicals, and fruit for the perfect cup. NEW! This rooibos chai is naturally caffeine-free. The essentials every kitchen needs. These multifunctional pots and pans are built to last and make your time spent in the kitchen easierâ&#x20AC;&#x201D; and even more delicious. MICROWAVE COOKING COLLECTION You’ll want all three—one size doesn’t fit all! A synthetic material made from bonded silicon & oxygen. 100% food grade (FDA). Non-leaching: unlike some plastic containers, it does not leach BPA & phthalates into food. Non-stick & flexible. Heat resistant up to 425° F (220° C). Microwave, oven & dishwasher safe. Kitchen Tools With the right gear, you can cook faster, smarter, and easier—and clean up quicker, too. GREAT AS A GIFT A fun addition to any gift basket. Buy two—give one, keep one. TOOLS FUNNEL AND CRUET: A perfect pair. Serve It Right Make, serve, store. Elevate even the simplest meal with gorgeous servingware. 1 can (14 oz/398 ml) diced tomatoes, drained 2 bell peppers, diced 1 small zucchini, diced ½ eggplant, diced 1 Tbsp (15 ml) 3 Onion Dip Mix 1 Tbsp (15 ml) Spicy Chili & Oregano Dip Mix 2 Tbsp (30 ml) olive oil Sea Salt, to taste Black Pepper, to taste 1. Combine first six ingredients in a Square Steamer. 2. Microwave, with lid on, for 10 minutes on high. 3. Drizzle with olive oil and season to taste. Serve in Baker. Per serving: Calories 130, Fat 7 g (Saturated 1 g, Trans 0 g), Cholesterol 0 mg, Sodium 20 mg, Carbohydrate 15 g (Fibre 5 g, Sugars 7 g), Protein 4 g.
Fresh new look. Find recipes faster and easier. Easy online ordering. Learn more about Epicure, clean eating, and how together we can change the world, one plate at a time. Your opportunity begins here. Epicure’s industry-leading Career Launch Program makes your business startup easy, rewarding, and fun. North Saanich, BC Canada V8L 6A8 ©2015 Victorian Epicure Inc. All rights reserved.